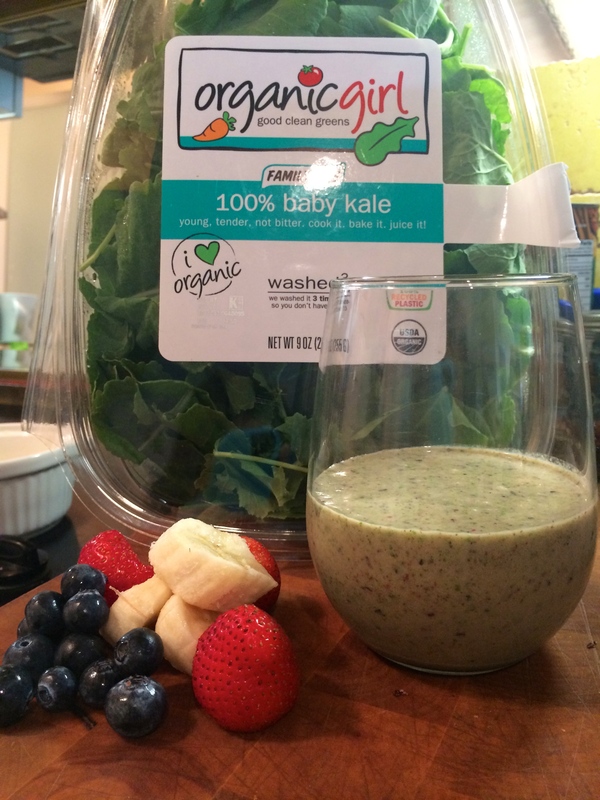 The winner will receive a new Vitamix® blender and ….are you ready? 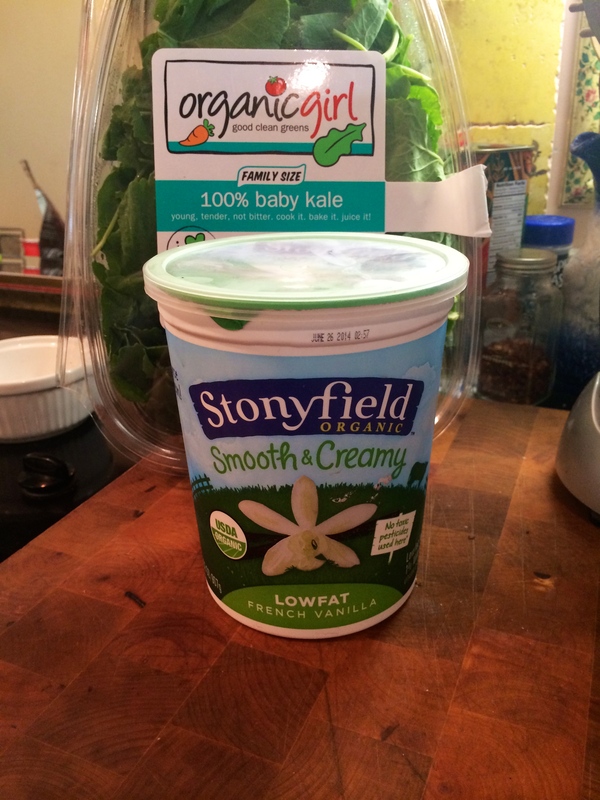 FREE Organic Girl Greens for a YEAR!!!! Sweeeeeeet! 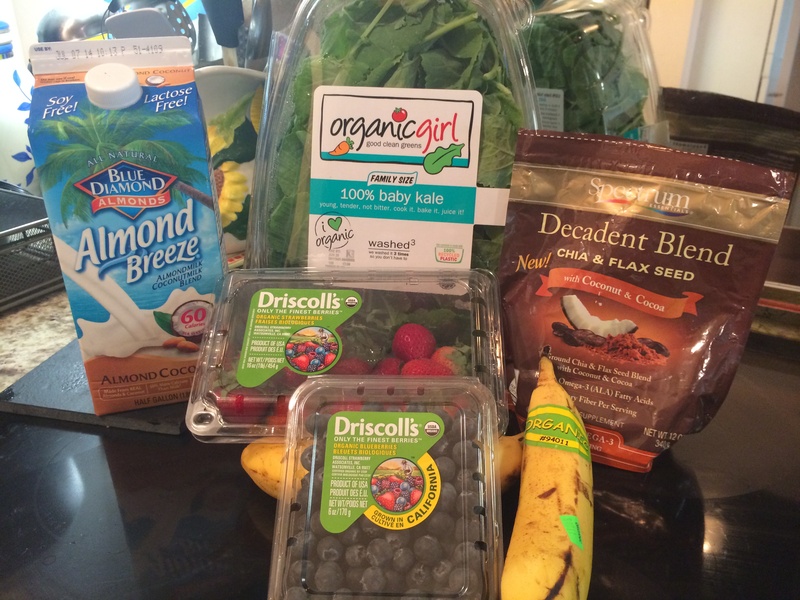 As I am lucky enough to be a recipe creator/blogger for Organic Girl, I can’t win….but YOU CAN! 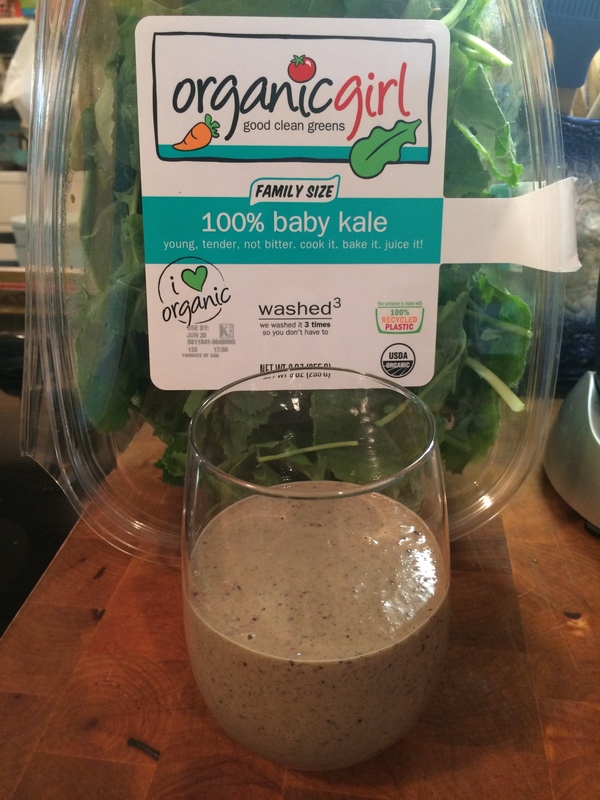 I did of course decide to create a smoothie this morning using Organic Girl 100% Baby Kale because, well I love smoothies, I love Organic Girl Greens and as usual I am always looking for sneaky ways to get Littledude and Ladybug to eat greens. I love Peanut Butter and Jelly. 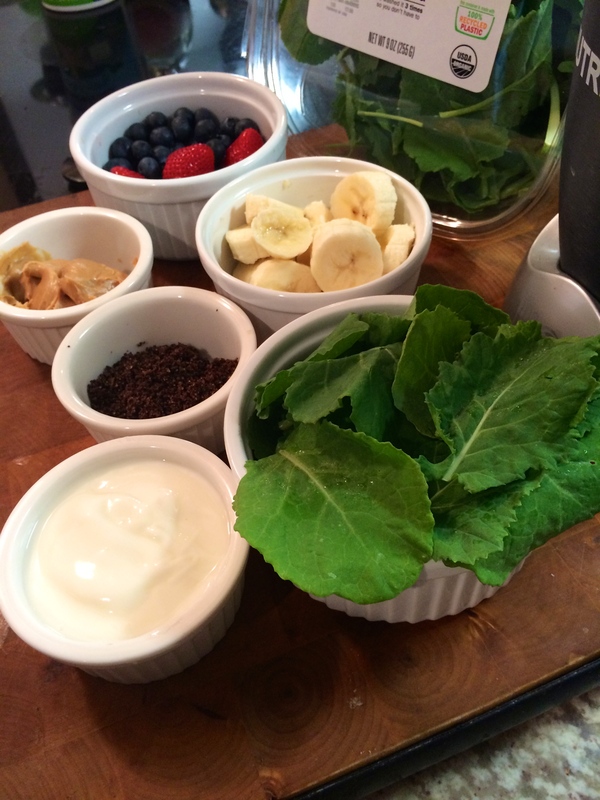 I also Love Chocolate and Coconut, so this delicious smoothie incorporates all of that and more (without the bread). 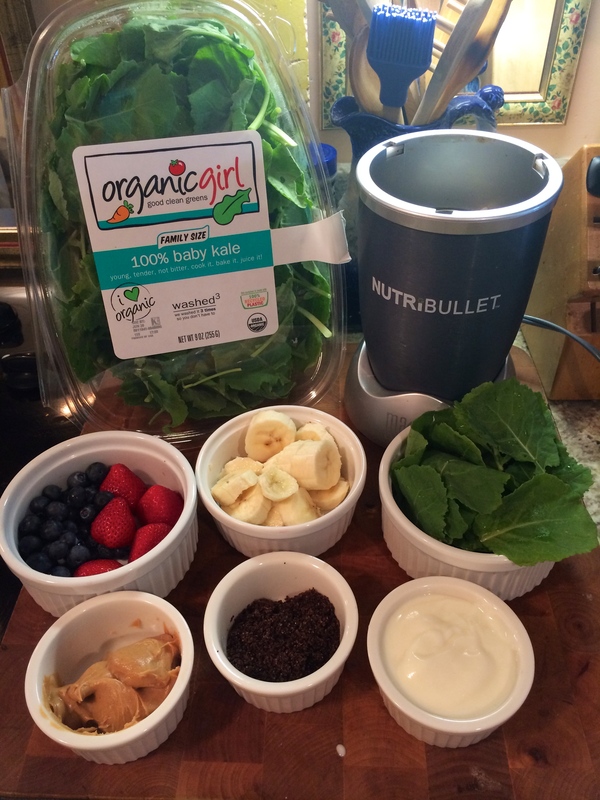 I used my Nutri-Bullet because – well it blends pretty much anything into a smoothie, oh yeah and I don’t have a blender at the moment. I only added a splash of the Almond Coconut Milk so there was a little liquid to help it blend a bit easier and 2 ice cubes to help make it a bit colder. It may not be a beautiful color, but the ingredients sure were going in! Personally I love it. Sis liked it, but isn’t a huge fan of coconut and admitted without coconut she would have enjoyed it more. WIN! 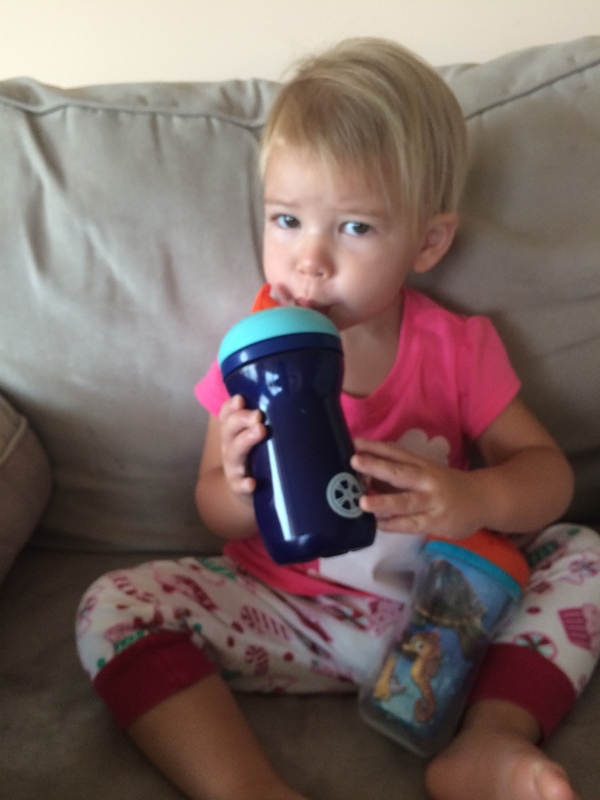 Ladybug drank hers…AND some of her brothers!!!! Littledude….well a few things made it a no-go for him. First off he woke up this morning just plain cranky…and hey we can all relate right? It IS a Monday after all! 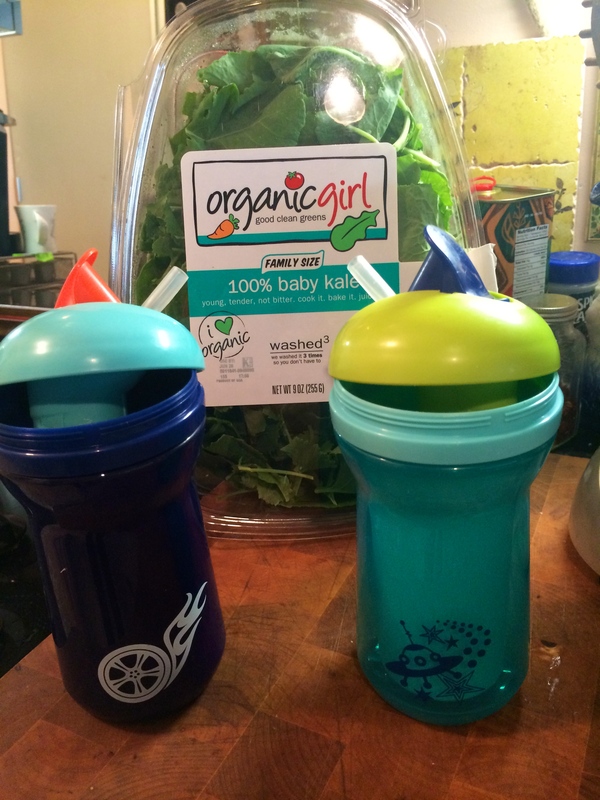 Secondly, as it turns out Mama Sis has been trying the “put-greens-in-smoothies-and-then-hide-it-in-a-sippy-cup-they-can’t-see-through” trick for a while (She is on breakfast duty weekdays) and well….he got wise to it. Now the only time it seems we can get him to drink a smoothie is if it’s from Jamba Juice and it is an obvious color containing no green! What IS IT with Green and kids? Oh well. So there you have it. 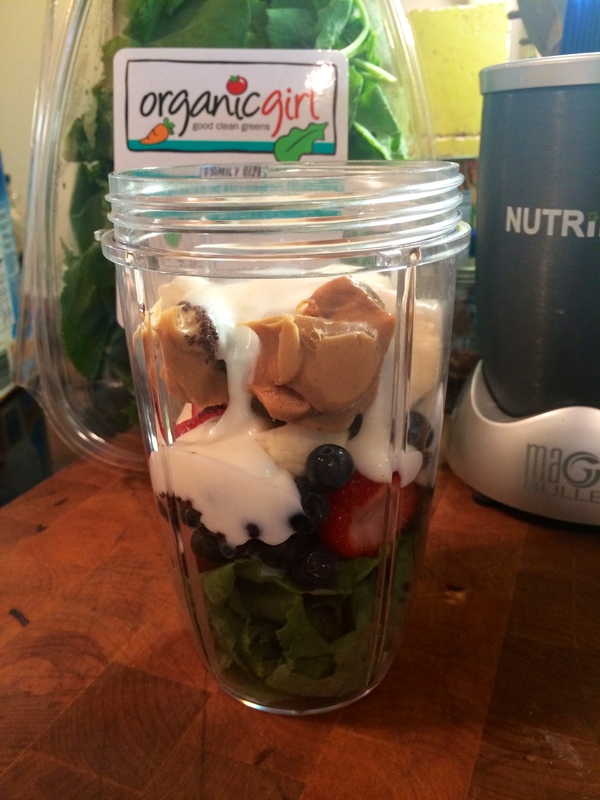 Chocolate PB&K Smoothie.